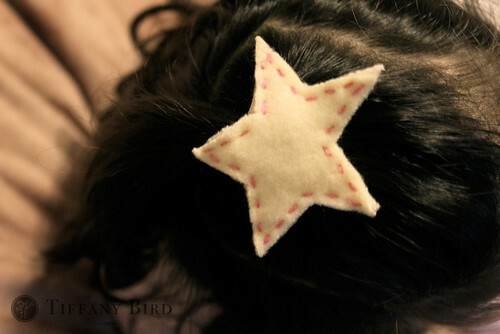 Giving my girls the initialed felt hair clips and some of the other patterns went well Christmas morning. Kaye loved having a hair clip with “K” on it just for her. The best thing about it was I made it in one sitting within minutes. I used scraps laying around in my craft closet. If you make something using this tutorial, please upload pictures of it in our Flickr group to show it off to everyone. You may be featured on Simply Modern Mom. 1. 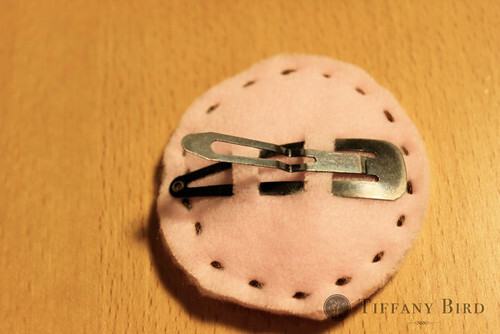 I reused some of my old hair clips that were functional, just worn. So I cleaned them first. 2. 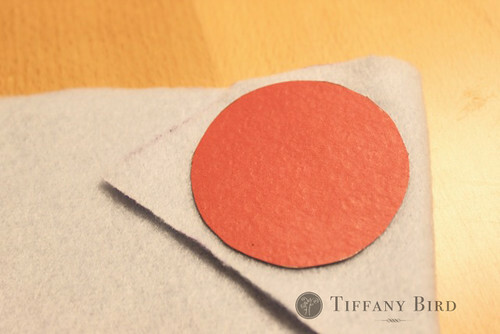 Draw patters you want on paper or cardstock. 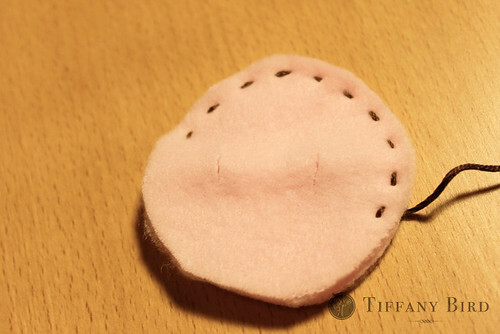 Make sure the hair clip will fit in your pattern. 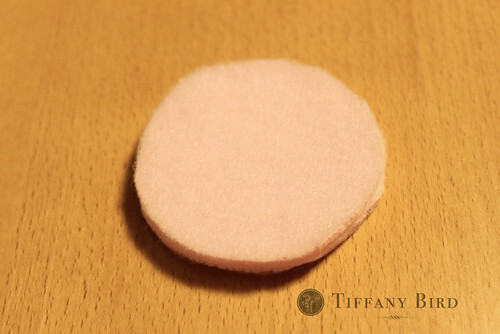 For the circle, I found a vitamin cap that was large enough and traced it. I freehand the rest. 3. Get your felt or fleece. 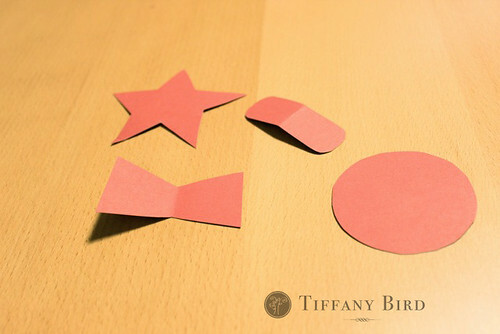 Fold it over so you can cut out 2 of the pattern at the same time. 4. 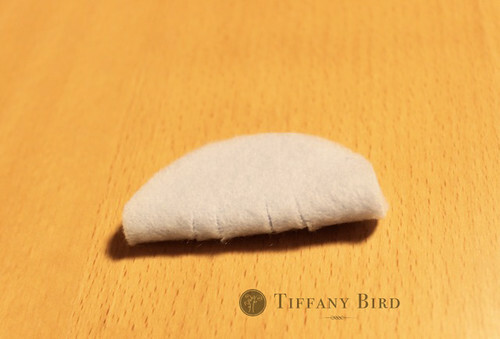 Take one of the felt/fleece, fold in half and measure the clip in the center. Cut 4 tiny slits. This will hold the clip in place. See step 7. 5. 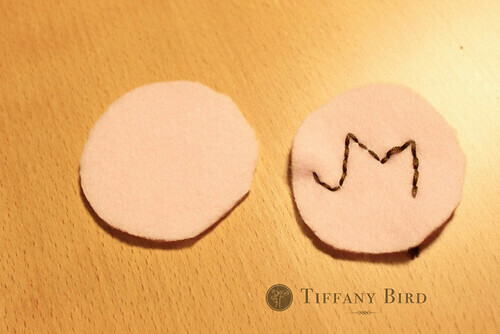 Take the top circle and embroider the initial. 6. 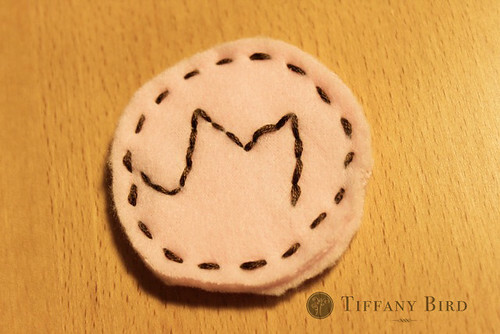 Hand stitch around the circle to enclose the front and back pieces. 7. 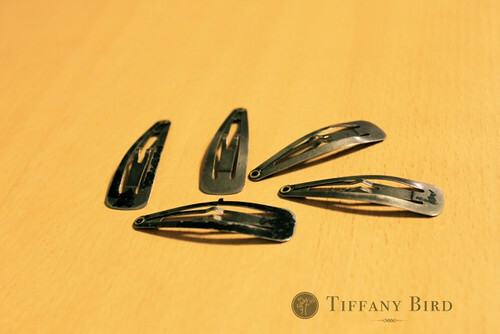 Slip your clip into the slits previously cut in step 4. 8. 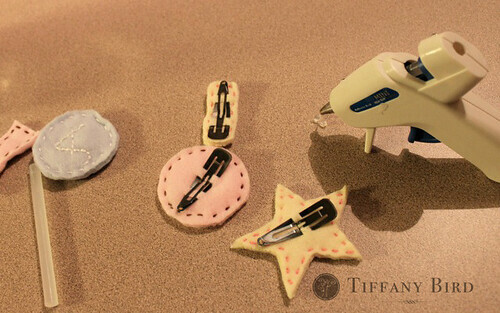 Use glue gun to glue to clip to the felt/fleece where it touches. Remember don’t get glue in the center piece of the clip. 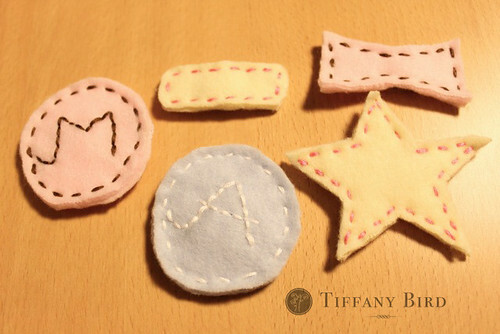 thanks for featuring me on craft gossip! the post looked great! Those are beautiful!!! I think I like the star the best. 🙂 Thank you for showing close-up photos…that will help me when I have a chance to give these a try. i would love to see your clips when you make some. post links please. i love seeing the results of others using my tutorials. Thanks for sharing. Check out my post of them.